Given all the choices in decking materials, why choose a vinyl decking? If you’ve never considered the benefits of a vinyl membrane on your deck, join us as Tuff Industries explores just why it’s the best choice to protect your deck and home. Depending on the condition of your deck, installing a new vinyl membrane can take just a day or two. That means you don’t have to deal with weeks of contractors around your home, and can start enjoying your deck more quickly. Regardless of how shabby your deck surface looks, new vinyl decking can restore it to near-new conditions. Since the PVC vinyl membrane goes right over the top of the deck, it covers up any cracks or peeling. Water is powerful – it has the ability to change and destroy structures if it gets into the wrong place. Making your deck waterproof is an easy method to protect your deck, the underlying structure, as well as your home from water damage. A vinyl surface is a great choice for busy families. Not only is it hard wearing, if you choose to install Tufdek™ CoolStep™ vinyl decking you can protect your family’s feet, even on hot summer days. Rather than the hassle of sanding and staining with wood decks, why not choose a deck surface that’s simple? PVC vinyl decking is a breeze – just sweep off debris and clean with water a few times a year and you are set! Recovering your deck with vinyl membrane makes your house look better and offers waterproof deck protection –increasing the value of your home. Vinyl decking offers a great return on investment for a small outlay. Back in the day when vinyl decking first became popular, there were one or two color/pattern choices. Today, there is a huge range of colors and patterns to choose from, so you can pick a vinyl surface that complements your home and stands out from the crowd. PVC vinyl membrane deck coverings come with a great warranty – so you can rest assured that your deck will be in great shape for the next few decades. Since Tufdek™ vinyl products are installed by deck professionals, you know that your deck surface will be installed using tried and true methods. Additionally, by choosing professional installation you can ensure that your deck is safe and secure before proceeding, and take care of any issues before they can become major problems. Reason Ten: Vinyl Decking Looks Fantastic! 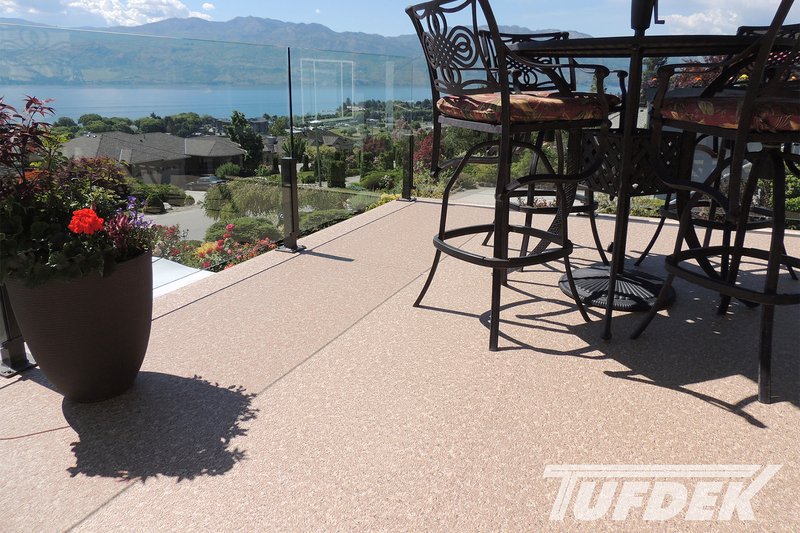 There’s no doubt that a new deck surface looks great, as is the case with a new Tufdek™ vinyl membrane. With terrific options like Designer Rustic Plank and Supreme Pearl, new vinyl decking offers a sophisticated, contemporary look to any deck. If your deck needs a retrofit, vinyl decking is a great choice. 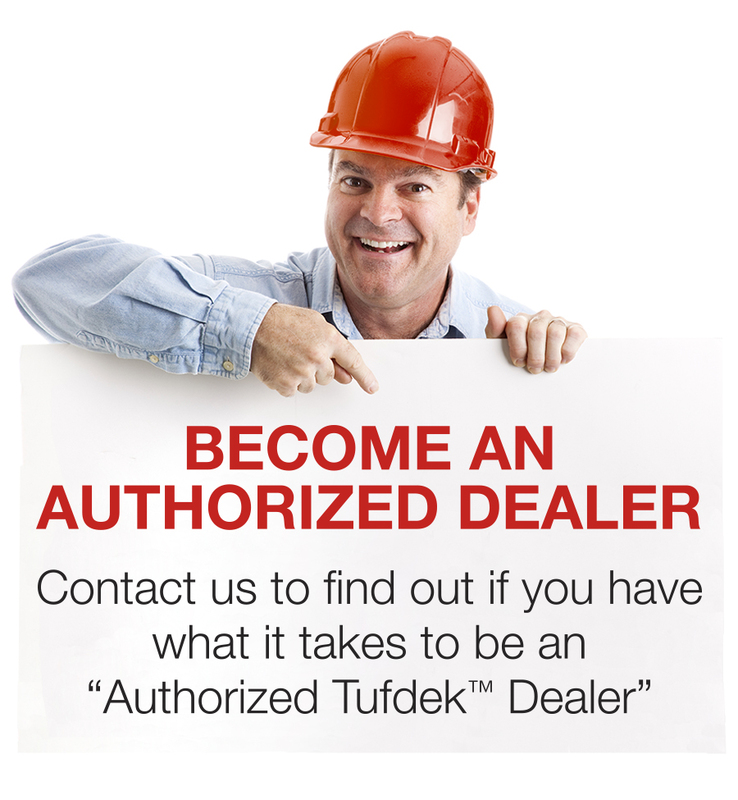 Check out our vinyl decking gallery, or talk to a Tufdek™ expert today to get started.